Located in the southwest of the Pearl River estuary in Guangdong Province, with Hong Kong in the east and Macao in the south. It is a key point of the 21st-Century Maritime Silk Road. In just three decades Zhuhai has gone from a poor fishing village to a prosperous modern city as one of China’s first special economic zones: the city has always prioritized ecological development, boasting one of the best environments in China. Since the Hengqin FTZ (Free Trade Zone) came into operation in 2015, the city has played an increasingly important role in China’s Belt & Road Initiative. It has cooperated with Macao to build a world-class tourism and leisure center and China-Portugal economic and trade cooperation platform. Economic and trade relations with Latin American countries have also been continuously strengthened through diversification and the furthering of secure access to the outside world. The second largest port city (behind Shenzhen) in China it has population of 1.6 million (2015. Zhuhai has three districts（Xiangzhou, Doumen and Jinwan) and five economic zones (Gaolan Port Economic, Zhuhai Hi-Tech, Zhuhai Free Trade, Hengqin FTZ, and Zhuhai Wanshan Marine Development Experimental). 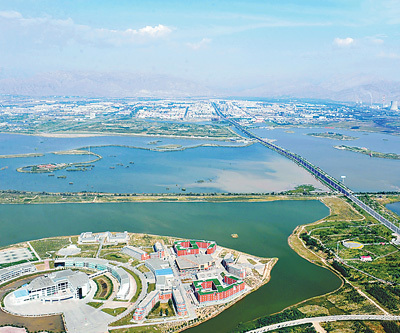 The city has focused its industrial development on high-end services, high-end manufacturing, hi-tech industry, marine economy and eco-agriculture. It is home to high-end manufacturing enterprises such as China National Offshore Oil Corporation’s (CNOOC) deep ocean engineering equipment department, Sany Heavy Industry, Ferretti, China Aviation Industry General Aircraft Co (CAIGA) and Gree Electric Appliances. 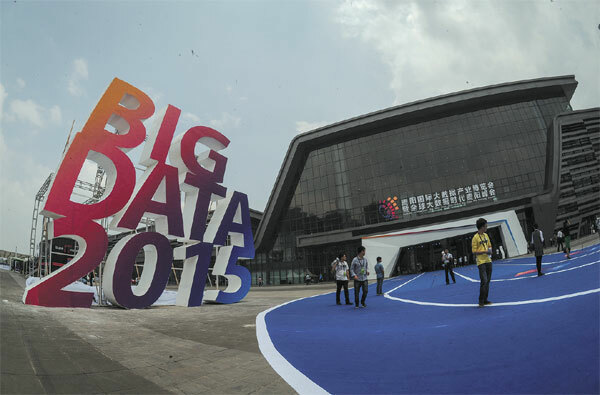 The high-tech field is represented by Kingsoft, Xiaomi Tech, Meizu and United Laboratories. The 55km Hong Kong-Zuhai-Macao bridge is an ongoing project due to open in 2018. Gaolan deep water port is one of the leading International ports in Guandong province. Specializing in petrochemicals, energy and equipment the port handled 107 million tons of cargo in 2014. Following the opening of the Guangzhou-Zhuhai Railway and Gaolan Port Expressway at the end of 2012, the port has advanced its distribution and collection network. A harbor industry cluster involving fine chemicals, petrochemicals, electric power, energy, offshore equipment manufacturing, and leisure tourism has been formed, too. Port logistics is a supporting industry of this zone. Fortune Global 500 enterprises such as BP, SANY, Shell, Lubrizol, Solvay, Hutchison Whampoa as well as central enterprises like CNOOC, PetroChina, SinoChem, COSCO, and Shenhua have settled here. Zhuhai Airport accommodated 4.08 million flights in 2014, this is expected to increase to 12 million by 2020. Situated in the south of Zhuhai the Hengqin FTZ (Free Trade Zone) is only 34 nautical miles from Hong Kong. Covering 28 sq km, the FTZ plans a land reclamation project to double in land mass by 2020. Eligible enterprises in Hengqin are taxed at a reduced rate of 15 percent. Administration of bonded or tax exempt production-related goods entering Hengqin from abroad has been conducted. Production-related goods sold from areas of the Chinese mainland to Hengqin are treated as exports and enjoy tax refunds. Transactions among enterprises located within the Hengqin FTZ are exempted from any value-added tax and/or consumption tax. Hong Kong/Macao residents working in Hengqin receive the appropriate China Individual Income Tax (IIT) deduction from the Guangdong Provincial Government so that their effective China IIT burden would be close to what they would pay if they instead had been working where they are domiciled. Clearance procedures for residents of Hong Kong and Macao entering and leaving Hengqin are simplified, with 24-hour passage at the Lotus Bridge Checkpoint. Administrative regulations for Macao vehicles with single license plates (to be operated exclusively within Hengqin) have been issued. These include: Zhuhai Hi-Tech Industrial Development Zone, Zhuhai Free Trade Zone, Wanshan Marine Development Experimental Zone, Zhuhai Aviation Industrial Park, Fushan Industrial Park. LETS Cultural District is located in the former Daishan Industrial Park, Qianshan, in the Xiangzhou District of Zhuhai. The Xiangzhou District is the political, economic and financial center of Zhuhai, hence, the ideal spot for a cultural park. The creative park will cover an area of 80,000 square meters and will be inaugurated this coming September. LETS is now renting the shop and office areas to interested clients. By combining business with tourism, culture and recreation, LETS Cultural District will be able to cover different needs. A large business area will welcome creative companies and start-ups, and give them a platform where they can turn their ideas into innovations. Apart from office buildings, shared offices and a park, this quarter will also include interactive workshop areas that can be rented for the long run or as a pop-up workshop for a short period. The new Hong Kong-Zhuhai-Macau Bridge which will be located in the Xiangzhou District will be completed soon. For this reason, Zhuhai’s business center will flourish in the upcoming years. Zhuhai is expected to become an economic power due to its new proximity to the international business centers Hong Kong and Macau. LETS Cultural District is ideally located in between the Nanping Bridge and the Qianshan Bridge. Hong Kong and Macau, therefore, are just a short journey over a bridge away. For years, investment opportunities in China seemed restricted to bustling coastal cities like Shanghai, Shenzhen, and Guangzhou. The Chinese hinterland—where the bulk of the world’s largest population resides—received comparatively little attention. Over a decade into the 21st century, the situation in China has changed. Previously emerging markets on the east coast have become increasingly saturated, leading savvy investors to look elsewhere. Meanwhile, infrastructure investment and favourable economic incentives have transformed China’s vast hinterland, opening up opportunities in cities most investors previously never knew existed. Most investors know that inland China has tremendous economic potential. What most people don’t understand are the practical mechanics of accessing these increasingly vibrant engines of growth. Wuhan —central China’s largest metropolis and a city at the nexus of China’s transport network. Once billed as the “Detroit” of China due to its massive auto manufacturing industry, Wuhan has reinvented itself for the 21st century as an environmentally-friendly venue for high-tech investment. Compared with similar size cities around the globe, Wuhan could seem awkward. Larger than London or New York, having over 1 million university and college students alone, yet with only three metro lines. Wuhan, as a city, started to exist only in 1926, when three ancient towns, Wuchang, Hangkou and Hanyang, were conjoined. Wuchang, by using its favorable position on the Yangtze River has always been a busy port. Nowadays, Wuhan’s position as a transportation hub is even stronger, as it lies on the two most important railway corridors in China, Shanghai-Chengdu and Beijing-Guangzhou and is the biggest inland port in the country. This has allowed the city to become a hub for major delivery and shipping companies. Today the city offers a lot more, besides good transportation links. 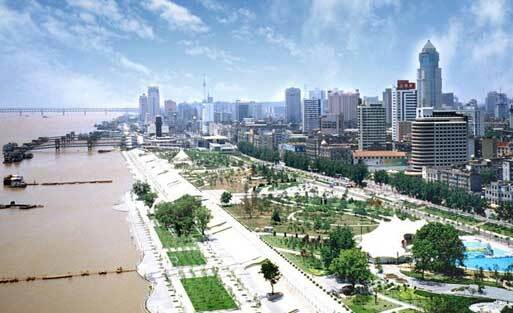 Wuhan is the largest city in central China, with the population of 10.5 million, 5th largest in the country. The city has seen its GDP grow by 10-12% each year reaching 900 billion CNY ($144.3 billion) in 2013, the 9th highest in the country. 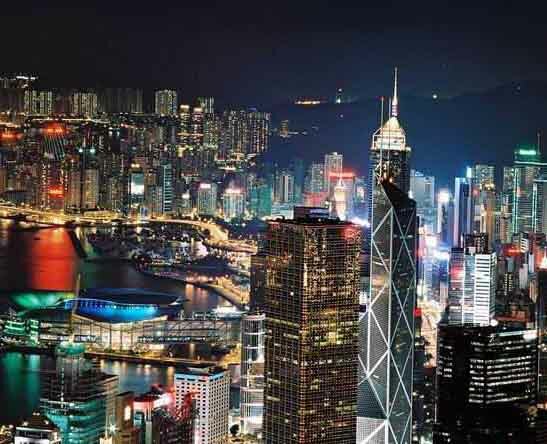 According to reports, it is one of the fastest growing cities globally in terms of GDP. Wuhan is also a burgeoning high-tech city, with 3 Special Development Zones and a Pudong-style skyline in the planning stage. According to British government estimates, ¥3.9 trillion ($625 billion) will be invested in Wuhan’s infrastructure by 2030. 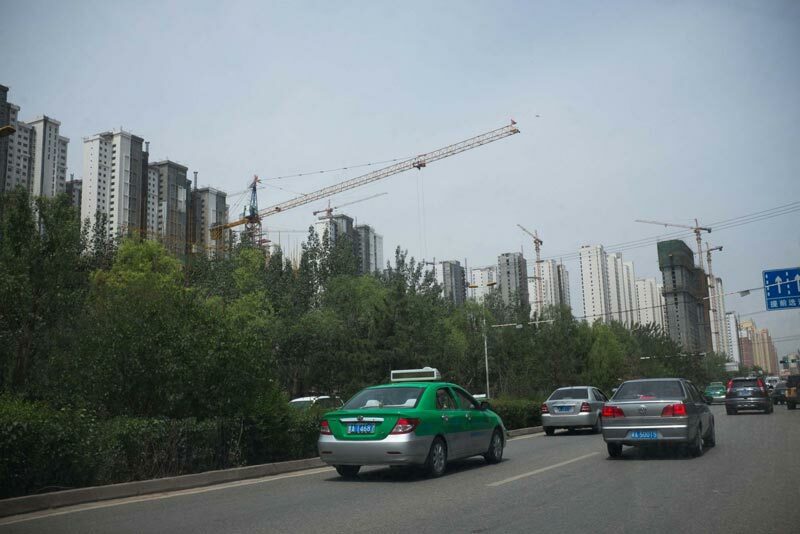 State-level special industrial zones could be considered as Wuhan’s economic backbone. Both foreign and domestic companies have been taking advantage of them for the last two decades. Wuhan East Lake Hi-Tech Development Zone (EDZ) includes many opto-electronics, telecommunications, biotechnology, laser and engineering companies from China and abroad. Enterprises receive tax breaks, subsidies for exports, and priority in government procurement. All Wuhan registered companies can receive subsidies for hired experts and office space. From these industries its optical telecommunications that are the pride of the EDZ, as the largest fiber-optic cable manufacturer and the largest research institute in China are located in the zone. The original Dongfeng Motors’ production site and headquarters are located in Wuhan Economic & Technological Development Zone (WEDZ) making it one of the most automotive industry-concentrated areas in China. Honda and Peugeot-Citroen cars are manufactured here, as well as various domestic brands. Another pillar of industry in the WEDZ is electronics manufacturing, as it is one of the main production sites for LCD monitors and air conditioners in China. The zone also has a packaging, biopharmaceuticals, food and resources & materials industrial cluster, as well as industry parks designated for French and Japanese enterprises. The latest, Wuhan Wujianshan Economics and Technological Development Zone is mostly dedicated to Taiwanese-funded enterprises and is aimed to become the largest Taiwanese businesses’ cluster in Central China. Wuhan loves all things French. According to Hubei government’s statistics, a third of the ¥144 billion ($23.2 billion) French FDI in China is invested in Wuhan. More than 80 French companies have a presence in the city; a rate higher than anywhere else in China. According to France’s Consul General in Wuhan, the partnerships started with the Peugeot-Dongfeng joint venture in the early 90s and intensified after Sarkozy’s visit to China in 2007. French companies are mostly focused on construction, waste processing, energy, transportation and retail industries. Prominent enterprises in Wuhan are Peugeot-Citroen, AXA, and TOTAL. GE as well as General Motors also have production facilities in the city. However Wuhan`s greatest draw is Education, the city has over 1 million students, more than any other in China, enrolled in more than 80 higher education institutions. Furthermore, Wuhan University, Wuhan University of Technology and Huazhong University of Science and Technology (HUST) constantly appear in Chinese and Asian universities’ leagues tables’ top positions. Finally, there are plenty of national research centers and laboratories, most of which closely work with private enterprises in the city. Wuhan is planning to seriously change its skyline and become the Shanghai of Central China. The development projects are just stunning. When it comes to super-tall skyscrapers (over 300 meters), there are 4 being built at the moment, and more than 10 proposed to be built, not to mention countless skyscrapers under 300 meters. The most noticeable one is Greenland Centre, a 636-meters tall multifunctional building, which eventually should become China’s third tallest building. It is estimated to cost around ¥30 billion ($4.8 billion) and to cover the area of 300 thousand square meters. Another project is Riverview Plaza (Wuhan Tiandi A1), a 460 meters skyscraper in Yongqing area. The whole Tiandi project is also estimated to cost about ¥30 billion, but cover a larger area of 1.5 million square meters. Shanghai’s Xintiandi reconstruction was done by the same developer – Shui On Land, with some of the same architects working on the project. Wuhan Center will be part of Wuhan’s CBD district, the 438-meter super-tall will be the first to be built among Wuhan’s skyscrapers and be the first building in the city to break 400 meter mark. To service these buildings the Metro will see a further extensions of the current lines, 4 new ones currently being under construction (to be completed in 2017 and another 6 in the planning phase. Wuhan’s expansion plans are very ambitious and the city wants to compete with the likes of Shenzhen or even Shanghai and Wuhan might just become one of those global cities due to its strategic geographic location: a 2-hour or shorter flight time from all other major Chinese cities to Tianhe International Airport and its shear audacity in its ambition. Due to its large volume of University graduates both the municipality and provincial governments are determined to provide as many jobs as there are graduates to further fuel growth.. This can only contribute to the growing investment of foreign enterprises looking for a relatively cheap and skilled workforce. However although the ambitions to build skyscrapers are high, the majority of them are still at the proposal stage, which makes any development plans susceptible to a slowdown in the economy. Moreover, there is no clear, public data on occupancy rates of recently built and under construction buildings. As with many developing cities a major problem is pollution: a few weeks ago “water panic” erupted in the city, as the public water supply was cut due to an excess of chemicals in the supply as well as the ever prevalent API figure. The Wuhan municipal government offers certain incentives to both wholly-owned foreign enterprises and Sino-foreign joint ventures invested in the city. These incentives, once limited to export-heavy industries, have expanded to include a wider variety of industries in the years following China’s accession to the World Trade Organisation. Wuhan has tied incentives into industries that establish themselves inside one of the city’s economic development zones. These development zones, of which the two largest are the Wuhan East Lake High- Tech Development Zone and the Wuhan Economic and Technological Development Zone, offer additional advantages to firms that include proximity to transport modes and access to a large pool of qualified university graduates. 1.2 A five-year corporate income tax holiday is available for the first five profitable years of Sino-foreign joint ventures in energy, transport, and infrastructure with an operating term of at least 15 years. The holiday is also available for the first five profitable years of approved integrated circuit manufacturers with an operating term of at least 15 years. 1.3 A two-year corporate income tax holiday is available for the first two profitable years of investment for high-tech industries located in Wuhan’s development zone. It’s available for the first two profitable years of approved integrated circuit and software enterprises. 1.4 Exemptions from a 20 percent standard withholding tax are available for: foreign investors’ gains secured by the right to share profits by proportion of investment, stock rights, or other non-creditor rights business; for interest on loans by international financial institutions to the Chinese government and China’s National Bank; for interest at preferential rates on loans to China’s National Bank by foreign banks; and for gains from chartered rights and use fees acquired by providing special approved technology for scientific research, energy exploitation, and transportation development. 1.5 Exemptions from a 3 percent local corporate income tax are available for all investments which qualify for federal corporate income tax exemptions or reductions. 2.1 A six year 7.5 percent tax rate is available for profitable years six through eleven of high-tech industries located in Wuhan’s development zones. 2.2 A five-year 7.5 percent tax rate is available for profitable years six through ten of approved integrated circuit manufacturers with an operating term of at least 15 years and is available for years six through then of infrastructure construction projects. 2.3 A one-year renewable 10 percent tax rate is available in Wuhan’s development zones for profitable years after the tax holiday and reduced rates have expired for companies exporting more than 40 percent of total production in any given year. The rate is also available in the development zones for profitable years after the tax holiday and reduced rate have expired, and for companies exporting more than 70 percent of total production in any given year. 2.4 A continuous 10 percent tax rate is available for profits derived from royalties on technical knowledge from scientific research, exploitation of energy resources, development of the communications industry, agricultural, forestry, and animal husbandry production. The rate is also available to software companies deemed to be key enterprises by the state, regardless of their location, when other preferential tax rates no longer apply. 2.5 A continuous 15 percent tax rate is available for investments in manufacturing located outside of the special zones for companies engaged in high-tech projects, energy, communications, and port construction, or having a value of more than USD 30m with a long investment payback period. The rate is also available for high-tech investments in the development zones after the initial tax holiday and reduction periods expire, and for approved integrated circuit manufacturers, regardless of location, that do not qualify for other preferential tax rates. 2.6 A continuous 24 percent tax rate is available for foreign investments in manufacturing not listed above that have an operating term of over 10 years. 3.1 Income tax losses can offset the following year’s gains. A ‘carry forward’ of any unused portion is permitted for up to five additional consecutive years. 3.2 Accelerated depreciation is available for software and for machinery and equipment of approved manufacturers of integrated circuits. 3.5 Foreign investors reinvesting their share of profits in the same investments or in new businesses not employing advanced technologies, with an operating term of at least five years, may receive a refund of 40 percent of the income tax already levied on the reinvested amount. 4.1 Exemptions from the Value-Added Tax (VAT) are available for imported goods used in the processing of export products and to approved integrated circuit manufacturers and software enterprises for the import of raw materials for production and consumption goods for their own use, and for the import of technology and special equipment necessary to production. 5.1 Employees engaged in major high-tech projects, and employees and senior managers of large-scale investments may receive multiple-entrance visas. 5.2 Employees engaged in major high-tech projects, and employees and senior managers of large-scale investments may receive residency permits of a duration lasting from 3 to 5 years. Big, bustling, and growing, Chengdu has emerged as one of the most dynamic cities in the Chinese hinterland and is an increasingly essential gear in the nation’s economic engine. As the capital of Sichuan Province—among the most populous in China—Chengdu has become a centre for both business and logistics in western China. The city, once a backwater lagging far behind its coastal counterparts, has now firmly arrived on the business scene. The rise of Chengdu is due to the convergence of two distinct, but related, factors. 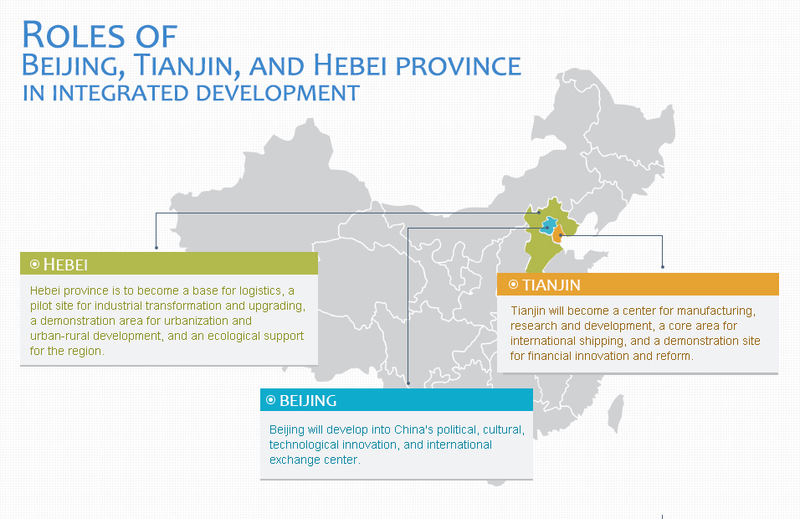 One is the Western Development Strategy, in which Chengdu figures prominently as a key city. In an effort to spread economic growth more equitably within the country, Beijing allowed cities like Chengdu to offer foreign firms extensive investment incentives, spurring the interest of multinationals and small to medium enterprises (SME) looking to lower costs. The second factor attracting outside investment to Chengdu is its vast supply of cheap and talented labour. As the city turned its focus toward high-tech industries, local universities developed well- regarded programmes in IT, churning out a pool of qualified workers. The low cost of living in Chengdu allowed producers to benefit from lower labour costs, with average salaries for skilled labour lower than cities like Beijing, Shanghai or Shenzhen. The ensuing cost-benefits have drawn major investors like Intel, Toyota, and Motorola, reinvigorating the once neglected backwater. One factor that historically limited development of the city was the high transport cost for primary and secondary sectors. This has however in many ways become a blessing in disguise. Lacking adequate containerised rail infrastructure or the proximity to ports that cities like Shanghai enjoy, Chengdu was forced to focus on development of service industries and high- value manufacturing such as semi-conductors and pharmaceuticals. Industries which are less dependant upon cheap transport costs may insulate the city from the global downturn – in stark contrast to regions heavily dependant upon low cost manufacturing such as Guangdong. With both the Central and Provincial governments working hard to improve the overall investment environment of the city, and the province at large, huge sums are being invested in financing construction of several major intercity highway and rail networks. Within the city limits itself, construction is underway on its metro system.